Everyone knows it as one of sport’s most grueling races, covering 2,262 miles. Dave Brailsford knew all about the race and was faced with a job that had never been done before. He was faced with the task of helping Great Britain win the race. The problem? 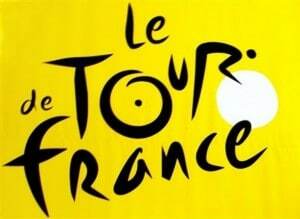 No British cyclist had ever won the Tour De France. Brailsford did not come in and make massive changes. Instead he followed a concept that he truly believed in. A simple concept that helped Team Sky (Great Britain’s cycling team) to win the Tour De France three years later. Or to put it in simple terms, he explained it as: “A 1 percent margin for improvement in everything you do. Instead of trying to make huge gains little, tiny steps were taken that resulted in big improvements over the long run. It’s often believed that transformation in a dog’s behavior takes long training sessions. In fact, it often takes small, barely noticeable steps. Think housetraining. Often the owner wants it to happen overnight which is understandable. But the process happens over a period of days, sometimes weeks. If you’re having a housetraining problem, look at the whole situation and see what small 1% steps you can take to make it happen. Change in feeding times. Use the crate more. Teach markers to quickly reinforce correct areas. Go with the dog outside to reward. Use an x-pen. Umbilical cord training. Teach a signal. These are all steps that you could implement a little at a time. The same goes with any command you’re teaching – the recall, leash walking, longer stays with distractions. One of the best places for an “aggregation of marginal gains” is The Dog Training Inner Circle.